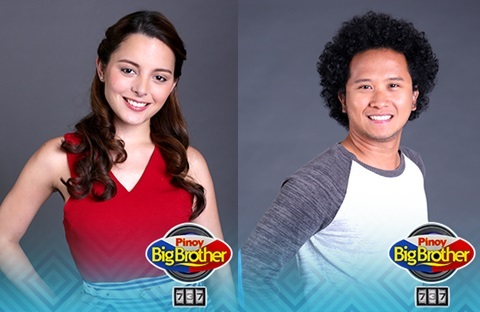 MANILA, Philippines - Two housemates were nominated for eviction on PBB 737: Regular next week, Big Brother announced during the second nomination night on Saturday, August 22, 2015. The second set of nominees based on conventional voting system includes "Madiskarteng Inday ng Iloilo” Krizia Lusuegro, "Independent Sweetheart ng Manila" Margo Midwinter and "Worldwide Worker ng Surigao" James Linao. Linao received the highest number of votes, 13 points as majority of housemates said he always blocks their opinion. Midwinter and Lusuegro got 8 and 4 points respectively. However, Lusuegro saved herself from eviction by winning the Ligtask challenge where the nominated housemates must maintain the three balloons floating in the air. The housemate with the longest time to accomplish the task wins the immunity game. Voting is now officially open. To support James or Margo, key-in BB JAMES or BB MARGO and send to 2366. 'PBB 737' on Saturday night topped Twitter trending list with '#PBB737Reg2ndNomiNight' in the most talked-about topics. Find out who will be Kuya's second evictee for regular housemates next week. Catch PBB 737 on Primetime Bida every Mondays to Fridays; 9:45 p.m. (PST) every Saturdays and Sundays.